Webwise.ie / Parents / Get informed / Explained: What is Roblox? 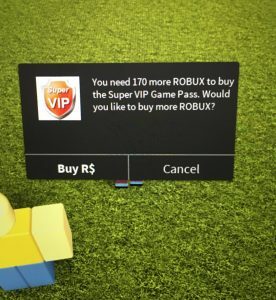 Roblox advertises itself as an ‘Imagination Platform’ that allows its users to develop or play millions of 3D online games. It was launched in 2007, and has 64 million players every month, with an estimated total 178 million accounts on the platform. It is available to download as an app on both Android and Ios and is listed as 12+ with Parental Guidance advised. Users can also play the game on tablets, PC, XBox One or Amazon devices. It is described as a site created for gamers by gamers. The other main function of the platform is socialising, users are encouraged to make friends with other online players. 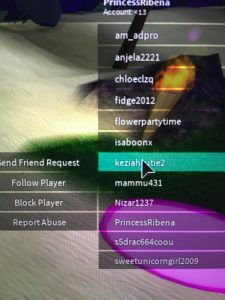 The site allows users to “Imagine, socialize, chat, play, create, interact and relate with others in many ways.” The Roblox Suite allows gamers to create their own game or create another world with friends or ‘virtual explorers’. 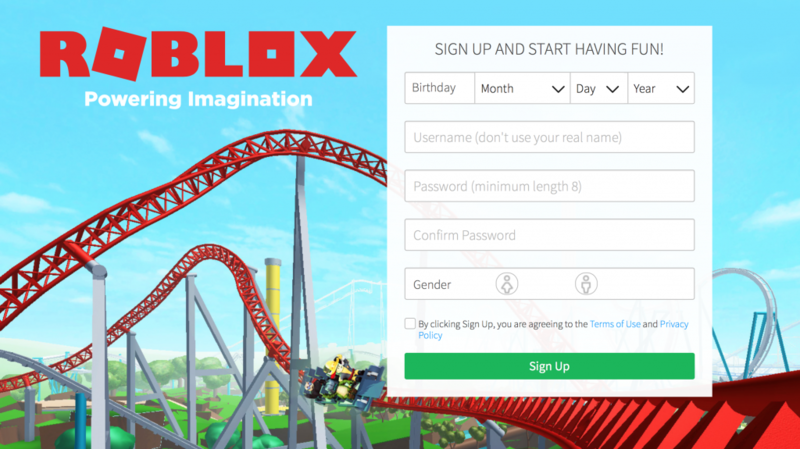 When signing up to Roblox, users are asked to come up with a username that is not their real name. They are asked for their date of birth, whether they are male or female and a password. 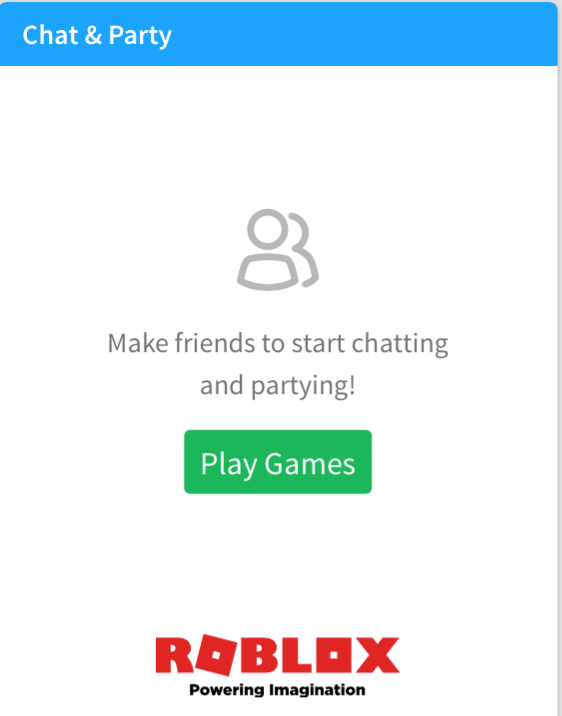 Signing up creates an Account on the Roblox platform that is similar to a social networking site. On your profile, you can view the games you have played, you can post to a feed and also shows who your friends are, who you have followed and who have followed you on the platform. It also shows what groups you are part of and badges you have won. You can also “Chat and Party” with the anonymous friends you have added from your profile. You have access to a chat feature at the top left-hand side of the page which all players can use while you are playing the game. You can private message with other players by clicking on their name in the chatbox. Users are encouraged to use their imagination and roleplay with other players. The platform hosts a huge collection of games. The platform allows you to track which games you are playing, collect badges and create universes online. The platform is similar to both Minecraft and fashioned after Lego, though not affiliated with either. The multiplayer aspect of the game may be a draw for some children as well as the fact that it can be played on multiple devices: XBox One, PC, Mac, Amazon devices, and has apps for both IoS and Android. 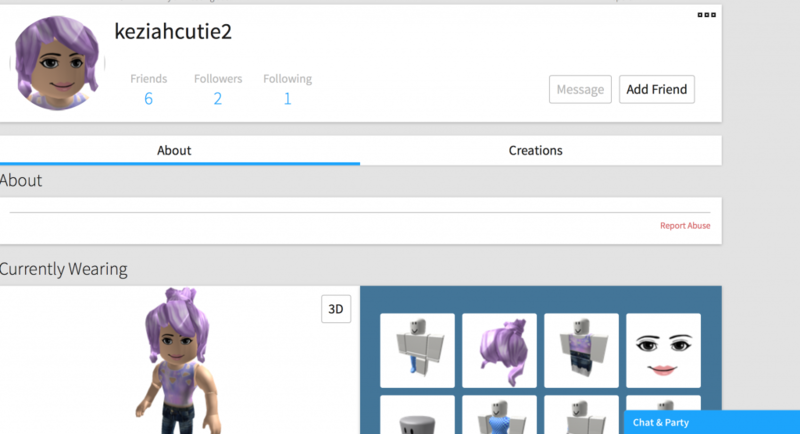 Roblox also allows users to create their own games and have them played by real people. 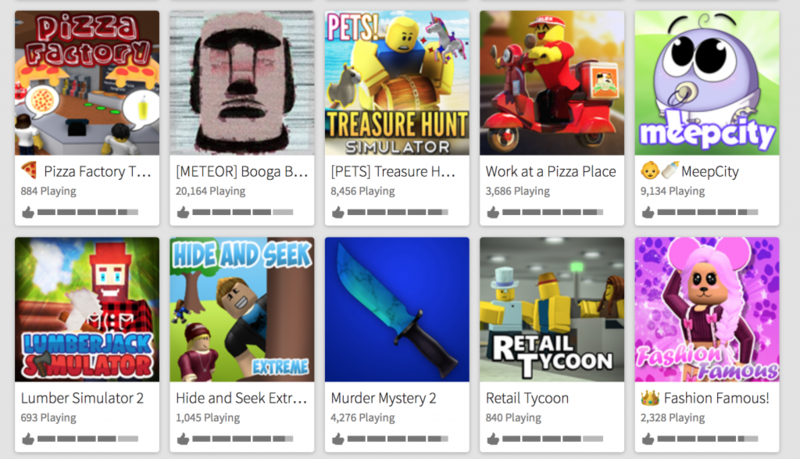 Roblox then lists the most popular games, regardless of whether they were created by a user or a developer. The site can, therefore, be used in a creative and fun way to build or explore, other online 3D worlds. There is a builders club for premium membership which gives members access to limited items that can be collected or traded, and ther extra ‘perks’ for a price. Roblox does provide users with a number of games, created in the same style as Minecraft. There are, however, a number of risks that come with joining this gaming platform. Users must be 18 or older or have your parent or guardian’s consent to agree to their Terms and Conditions. The site claims to filter information on profiles, limiting personal information being posted if the user is under 13 years of age. However, as shown from our own research on the site, this does not always happen. 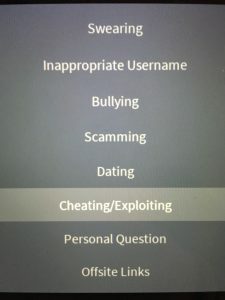 Webwise reported the profile featured below using the Report Abuse feature on the users’ profile for giving out personal information. Gamers are requested not to use their real name, however, many users we witnessed on the site had usernames that gave both their first name and date of birth, for example, Princessana07. This makes gender and age easily apparent to other users. The platform is integrated with Facebook and Twitter. The potential risk being that younger users may add their gaming friends on other social networking sites. The platform actively encourages users to make anonymous friends. Users of all ages, both gamers, and developers, use the site. This is not a platform aimed at children. The site allows private messaging between anonymous users. This can be done by simply clicking on the username in the chat box. The creators have attempted to make it safer by filtering content in the chat box based on the user’s age. However, while researching the site many safe words and phrases were blocked out with XXXX. This could lead to children creating older profiles to bypass this feature for convenience. There are also creative ways like writing letters in a downwards pattern or substituting letters for similar looking numbers to get around the filtering system. There is no mechanism in place to stop a child from creating an older account. While reading reviews of the platform on App Store and Play Store many users complain of ‘oders’ which is a shortened form for ‘online dater’- i.e, someone who compliments or is trying to establish a romantic connection via the messaging feature. A number of games do not work without payment being required. While reviewing the site, we encountered a number of pop-ups for additional payment. When clicked, these brought us straight to the payment section of the Play Store or App Store. For young children talking with strangers online is never a good idea. Talk to your child about the risks of making friends anonymously. Make yourself aware of the safety settings that are available for parents: https://en.help.roblox.com/hc/en-us/articles/203313120-Your-Account-Age-Chat-Modes-Filtering.This will allow you to restrict your child’s interactions and ensure that the communication settings are set to ‘No one’. The account restrictions are not turned on by default. You or your child will have to enable them in settings. This is located on the top right of the users’ profile page, see image below. Check your child knows how the platform works. Let them know that if they feel uncomfortable with the conversation they can report the user. We would strongly advise that children do not use the socialising feature on this platform, it is impossible to know who they are talking to. If a user encounters any inappropriate content, or feel uncomfortable with a user on Roblox, they can report it to the website. Users can report other profiles should they break the Robox rules. 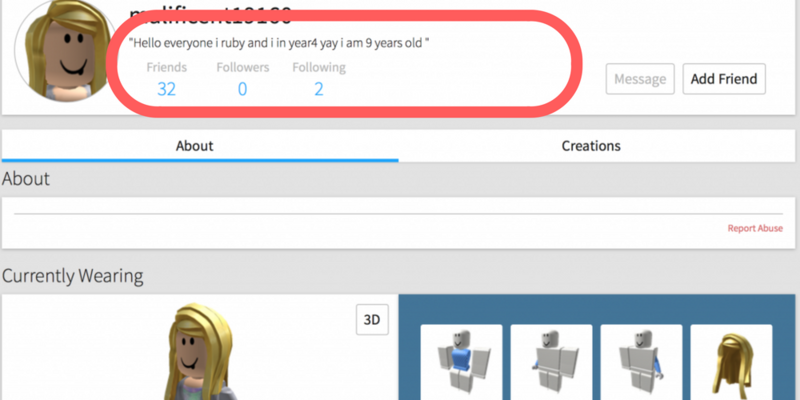 See reporting features on Roblox here: https://en.help.roblox.com/hc/en-us/articles/203312410. Gamers can report or block a particular user by clicking on their name during the game and clicking Block Player or Report Abuse. This will bring them to a drop-down menu where they can choose the violation and enter a comment. Each game has a report feature, though please be aware that many reviewers have said that these are not moderated appropriately.